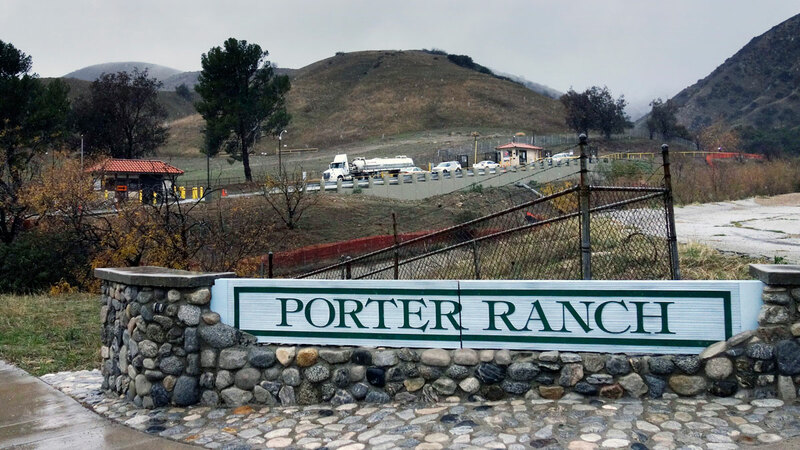 Porter Ranch residents are once again very concerned about their health after receiving another notice about yet another gas leak at Aliso Canyon. The Southern California Gas email to residents on June 1, 2017 said in part: "SoCalGas observed an open valve on a well operated by Crimson oil and the valve was releasing gas into the atmosphere." "SoCalGas employees took pro-active steps to minimize the emissions from Crimson's facilities, notified Crimson and alerted the appropriate regulatory agencies.
" SoCalGas also stressed that they are not responsible for monitoring Crimson oil's facilities, and Crimson is an independent third party. "It's just more evidence of how this place is deteriorating from all the operators up there and it shouldn't exist." Said Matt Pakucko the President of 'Save Porter Ranch'. Sylvia Guillen a Porter Ranch resident for 11-years said she's getting used to getting these notices. "This is actually the 3rd or 4th email. We get them so regularly that we are almost desensitized to them. It's just another email saying it's just another leak." They both remember the nightmare of October 23rd 2015, the largest accidental leak of natural gas in US history at Aliso Canyon in Porter Ranch which took more than 3 months to be capped. After repeated calls to Southern California Gas, Crimson Oil and the Agency overseeing the repair of gas leaks, there is no word as to whether this latest gas leak has been repaired.